Any entity/participant interested in organizing a side-event must first register online for the meeting. The CITES Secretariat, as the body responsible for servicing the SC69, will approve the side-events. Side-event organizers should access the online room booking tool named YAROOMS. Requests for side-events should be sent electronically via this service after checking the rooms and slots available. Simultaneously, completed request forms must be submitted by 18 October 2017 at the latest to [email protected]. Side-events are normally open to all participants in the SC69. In case of closed events (Invitation Only), please indicate it clearly on the form. In case changes need to be made to a side-event proposal, a new request must be submitted by e-mail. In such cases, only the most recent request will be considered. Side-event organizers are informed that the venue is free of charge for organizers. Any queries for estimates for audio-visual equipment can be directly addressed using the Order Form to Mr. Luca Pellandini, Project Manager, at the Centre International de Conférence Genève (CICG) at: [email protected]. There will be charges for the use of such IT equipment and related services which the event organizers must be prepared to cover directly with the CICG. Requests to cancel an event should be sent by e-mail from the registered contact person to [email protected]. and [email protected] whenever a service contract has been signed, involving equipment . Failing to inform them will entail penalties. If approved, all logistical and organizational arrangements for the side-events will be the sole responsibility of their organizers. 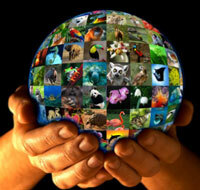 The CITES Secretariat will post the side-event schedule on the website and make it available at the meeting venue. Printed materials related to the agenda of the event may be distributed during the side-event by using the tables or other such facilities that will be available in the meeting rooms. Sale of printed materials or any goods on the venue during side-events or at any other time is not authorized. Side-event organizers are kindly requested not to set up displays or put up posters on meeting room walls during a side event or at any other time during the Conference to avoid removal and loss of their materials. Requests for catering should be directly sent to: [email protected] upon confirmation of the event. Parties wishing to book meeting rooms for ad-hoc meetings at the CICG should contact the CITES Secretariat directly at [email protected].